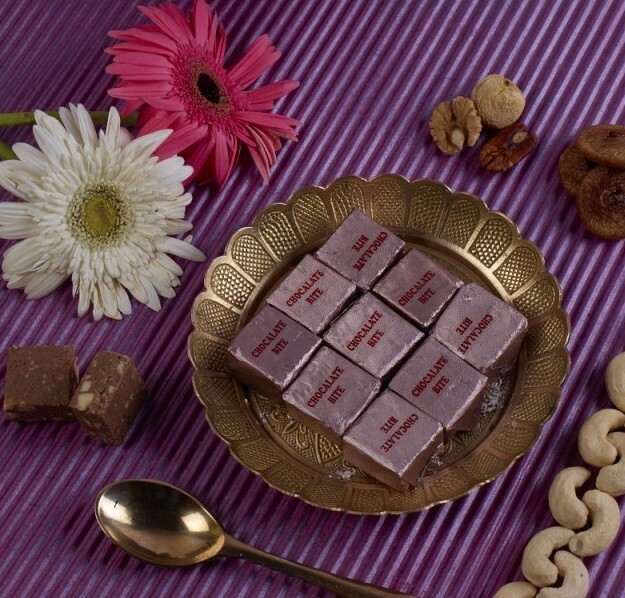 Buy Chocolate Bite of Ajit Sweets from Mumbai online | Authentic Indian Sweet , Savories and Delicacies from the place they originate by Moipot. Chocolate bites are a healthy way to indulge with desserts. With anti-oxidant rich dark chocolate garnished with nuts and seeds, they are just as pretty as they are delicious! Treat your taste buds by dark chocolate bites from Ajit Sweets with a dash of crunchy nuts and rich texture that’s perfect for your afternoon snack or desserts.